When watching a movie like “Selma”, I’m always torn between horror at the discrimination and atrocities that took place in the not-too-recent-past, and enthusiasm about how far “we” have come in such a short time. Don’t get me wrong: Not even remotely I want to suggest that today, everything’s sunshine and roses. There’s still far too much discrimination and hatred going on. But when you watch a movie like “Selma”, it’s – thankfully – obvious that things have changed for the better since then. And while I do think that overall, this change is also reflected in the attitude of society in general (for example, coming out as homosexual was a far bigger deal 10-20 years ago than it is today), it must also very much be attributed to those who fought and continue to fight relentlessly against prejudice and discrimination. “Selma” focuses on the fight of Martin Luther King and the brave men and women at his side for equal voting rights for Afro-Americans. As an Austrian, understandably the lessons of recent history that I got in school focused on Austria, Germany, the European Union etc., and while we did learn about the most important historical events in the U.S. (the Cuba Crisis, the Vietnam War, etc. ), I don’t know as much about the civil rights movement than I probably should – and that I’d like to. Since I never enjoyed reading historical texts, movies like “Selma” are ideal for me – even though they don’t present flat-out historical facts, but rather an interpretation of events (a drawback that I’m very well aware of). For me, its biggest strength was the acting. David Oyelowo was great as Martin Luther King, especially during the speeches (all of whom, as I’ve since learned, written especially for the movie, since they didn’t have the right to use his real ones) and the more emotional scenes (like when he offers his condolences to the old man who lost his son during the riots). I was also quite impressed by Carmen Ejogo, which gives an equally great performance as King’s wife. The rest of the cast was great, too. I had never seen Oprah Winfrey in an acting role before, but she stood her ground as Annie Lee Cooper. Still, I have to say that I found the appearance of well-known faces (like Cuba Gooding Jr.) in smaller roles slightly distracting, since they belied the sensation that I’m watching history unfold in front of my eyes. Ava DuVernay’s direction was decent, if nothing special, and there were a couple of really hard-hitting scenes. The first approach to cross the bridge was especially haunting, but I also loved their later (successful) march, accompanied by Fink’s goosebump-inducing “Yesterday Was Hard on All of Us”. 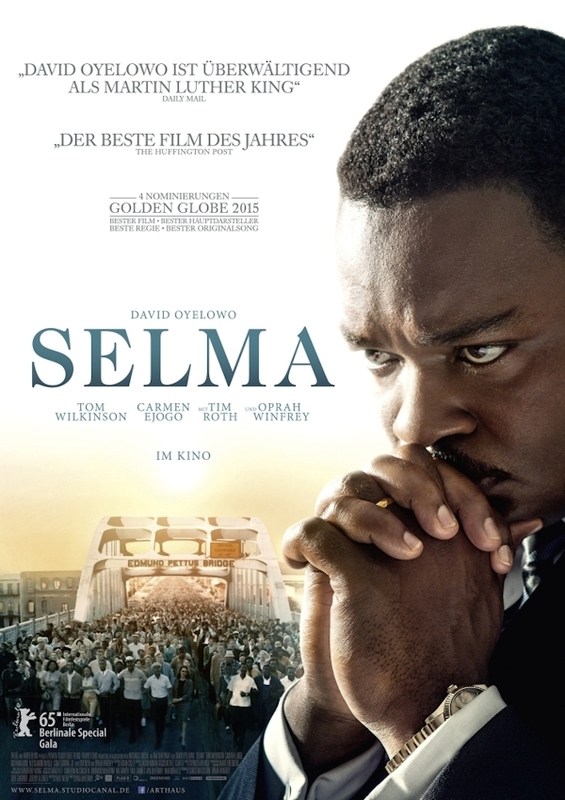 Overall, I found “Selma” to be very interesting, enlightening, occasionally moving, and – even today – very important and relevant, putting a spotlight on those who fought for equal voting rights for Afro-Americans – and the price that had to be paid in order to achieve that goal. This entry was posted in cinema 2014, movie reviews, new releases and tagged Ava DuVernay, biopic, David Oyelowo, Marthin Luther King, Paul Webb, Selma. Bookmark the permalink.